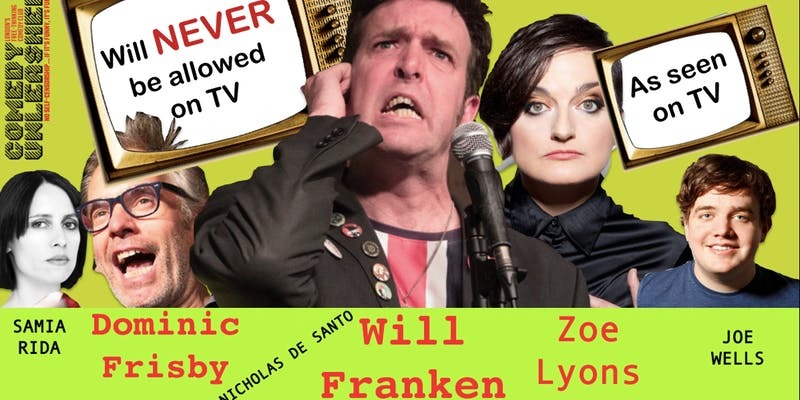 Will is a favourite at Comedy Unleashed and he doesn’t have a hope in hell of being invited on TV, ever. Will immerses himself into characters ranging from American Jocks to Guardian-reading luvvies and crazed Islamists. Will is prolific and brings us a new range of characters which satirise liberal pretensions and dumb-assed orthodoxies. You may have seen Zoe Lyons on Mock the Week, The Paul O’Grady Show, The Wright Stuff , Room 101 and Dave’s One Night Stand. Come and see her ‘unleashed’ show here. Libetarian, free-thinker with the affliction of having a smile like Tony Blair. Samia is an actress, writer and comic. Breaking through groupthink so we can all have a laugh again.